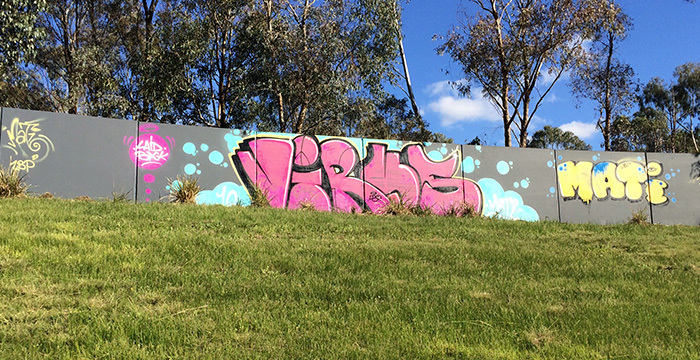 Graffiti and property damage across Australia costs local governments and property owners a fortune each year. In fact, in 2008 the Australian Institute of Criminology estimated that clean-up costs exceeded $1.5 billion. Sadly, these costs are passed along to the community in the form of higher taxes, service costs, insurance premiums and council rates. 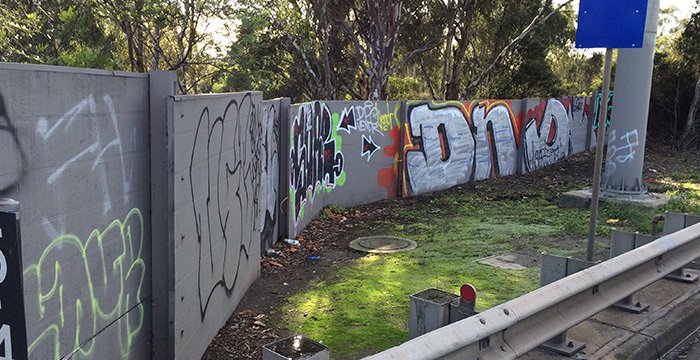 Graffiti can be a real nuisance and removing spray paint – and other similar materials – is a very complicated task that requires professional-grade materials and experience. 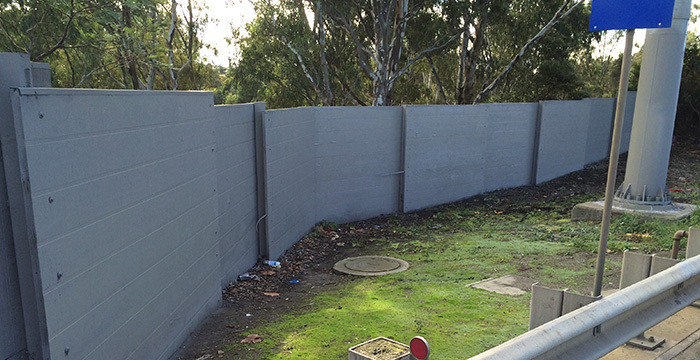 There are many hacks and urban myths that claim to tackle spray paint and other materials like it, but they can often serve to even make the problem worse than it was at first. This is why it is important for victims to graffiti to pursue the appropriate professional assistance and work with a company that they can trust to get the best results. 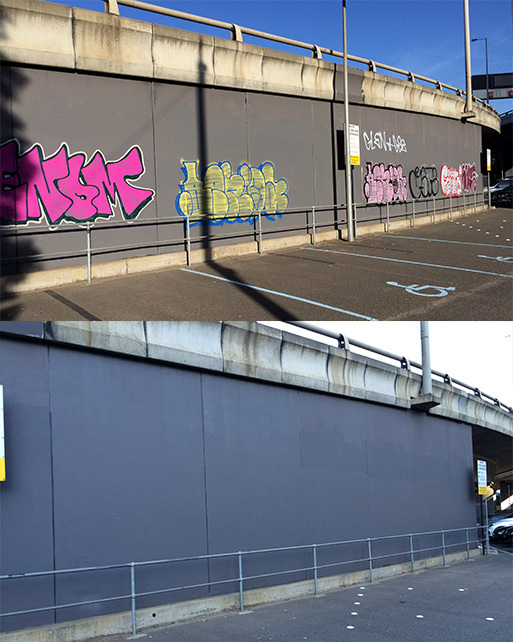 When it comes to graffiti removal Melbourne owners of commercial and public assets can trust in Graffiti Wipeout. Here’s why our customers love our results. If a piece of property has graffiti on it, it can signal to people with bad intentions that the property is abandoned or has a low level of security. This means that the issue snowballs out of control. Take, for example, a government office that has graffiti on it. If the graffiti is not taken care of quickly and comprehensively, opportunistic criminals will be more likely to target that property. That’s why we work quickly and efficiently to get the best results as quickly as possible for our customers. This ensures that their property does not fall victim to further damage. Over the years we have worked on a range of projects and our speed has helped our customers to avoid repeat crimes committed against them. Some properties are more susceptible to graffiti. This can be due to a range of factors ranging from the purpose of the asset, its location and its function. If a building is identified as a target for graffiti the application of protective coatings is an important way to enable faster and easier clean-ups in the future. 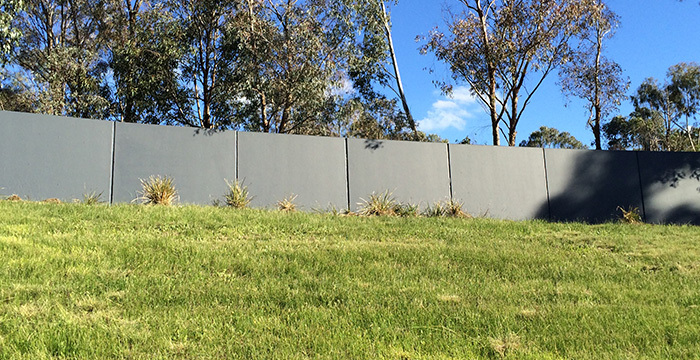 We are experts in applying these coatings and over the years it has saved many commercial and public assets a lot of time, money and heartache. Many of our customers request that we take the opportunity while removing graffiti to conduct a deep pressure cleaning of the facades and surrounding areas. This cleaning technique is truly transformative and really takes graffiti removal to the next level. Many of our customers are blown away at the results that we can achieve. Our team is fully insured and we have over 26 years of experience in providing long-term solutions for our customers. We take our work very seriously and can work to make the resolution of your issue a priority for us. Given that this is the case we also offer priority to offensive or particularly problematic graffiti. If you would like to learn more about our services, be sure to visit our website today and learn more about us, our services and some of the projects that we have worked on in the past.